Ft. Worth Stockyards Halloween Treat Street ~ 10/31! 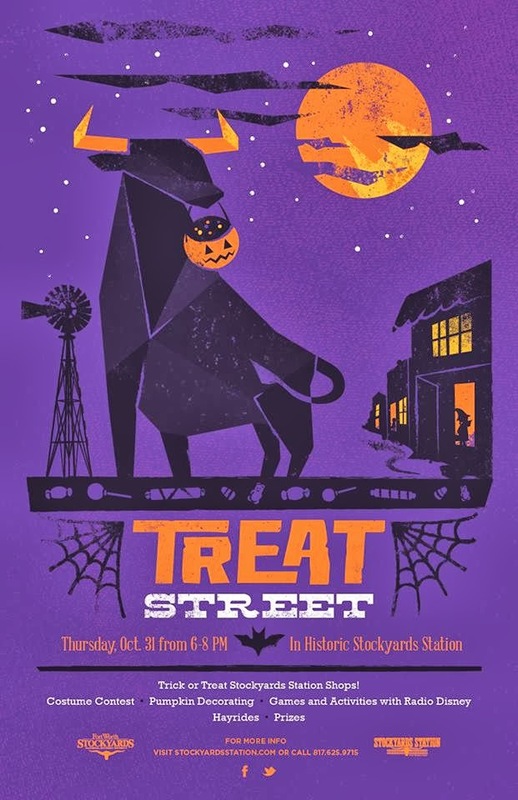 Dress up this Halloween and head to TREAT STREET in the Fort Worth Stockyards on Thursday, Oct. 31st. This family friendly event is FREE and open to the public. Radio Disney will be joining Stockyards Station from 6-8pm for costume contests, pumpkin decorating, games, hayrides, and trick or treating throughout the Stockyards Station shops. All TREAT STREET activities will occur in Stockyards Station Mall located at 140 East Exchange Avenue. Previous postBoston Market ~ FREE Kid’s Meal Printable Coupon! Next postHalf Price Books Dallas ~ Cloak Society Author Signing +Comic Book Activity 10/27!